The Bank account balance breakdown helps you figure out who ‘owns’ the money in each bank account and can be reviewed under Banking or generated as a report. 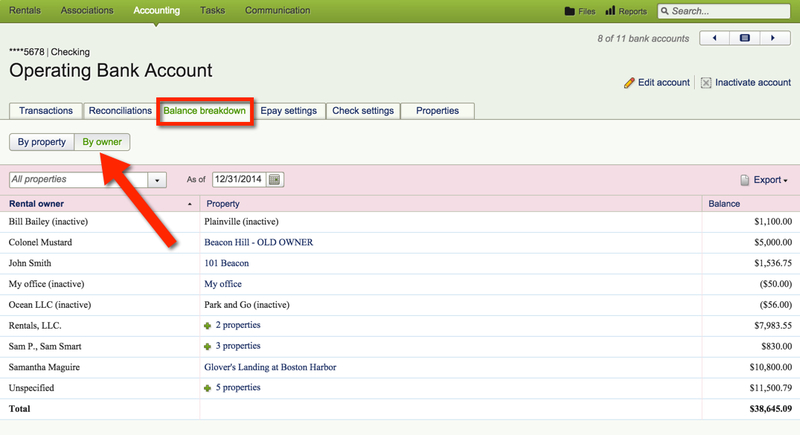 Determine the breakdown of funds in a bank account at a given date, by owner or by property. Go to the Accounting menu. Click on the name of the bank account. Click on the Balance breakdown tab to review bank balances. If you wish to print a report from this page, click Export and select the desired file type. Click the Bank account balance breakdown link. 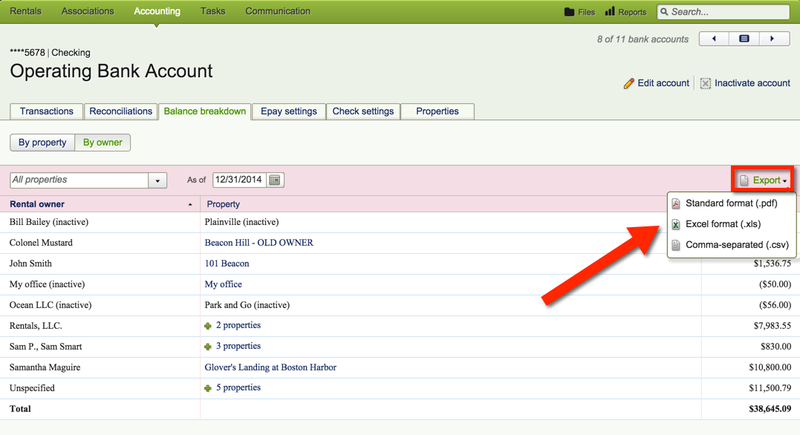 Break down by Select whether you want the report to show the breakdown of funds by rental owner or property. Date The date for which the report will be run. This report will include all data in your account until this selected as of date. This report includes inactive properties.